In Precarious Japan, Anne Allison regards the movement that forced people to have more self-responsibility (“jiko sekinin”) as a negative on the whole. After the bursting of bubble, the Japanese government has reformed some traditional Japanese systems and shifted more responsibility to the individual rapidly. The movement was attributed to spread neo-liberalism in Japan. The government adopted the idea and promoted some policies, for example, a massive deregulation and restructuring platform, which were based on market fundamentalism and capitalism. 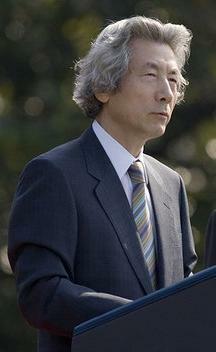 Moreover, under such a situation, the Prime Minister Koizumi pushed on “structural reform without sanctuaries”, including system of health care. Reforms based on neo-liberalism and market fundamentalism produced bipolarization, that is, rich and poor. It is hard for people who fell into poor spiral once to get out of the loop of poor, and now, there are many poor people who are left by even social safety nets and cannot make a basic life. Allison mentions that they float at work and drift in life as NEET, net café refugees, homeless, hikikomori and so on. Allison also says that these situations do not match the right which is guaranteed by the article 25 of Japanese constitution; all people shall have the right to maintain the minimum standards of wholesome and cultured living. As I received Aliison’s thought, then I myself think about “jiko sekinin”. First, I state pros of it. I think that we can choose almost all things by ourselves like in Japanese society, although free choices always have responsibility. It depends on yourself whether go to school, work, get marriage, have a child, or not. 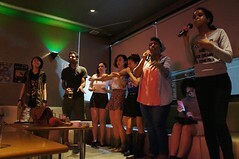 In addition, people who make effort or have talent can succeed and become a winner in neo-liberal society. The more effort you make, the much salary you can get. It can motivate you and may tell you how important you try to do your best. Next, I think about cons of “jiko sekinin”. People were given the right of free choices and had to bear the responsibility by themselves at the same time. However, I think that the situation, “free”, varies from person to person. I mean, it is not good to force people to hold yourself responsible for everything (especially bad, negative thing), although people can live in only place where has limited by something already. To be honest, I cannot say to be for or against the movement “jiko sekinin” sweepingly. However, I believe strongly that it is nonsense to label someone who is like net café refugees, homeless, hikikomori and so on as a just lazy without considering their background and social circumstance. Not only government also we should support these people properly. This entry was posted in Precarious Japan: Instability and Youth in 21st Century Japan and tagged Anne Allison, Culture of Japan, Government of Japan, hikikomori, japan, jiko sekinin, NEET, neoliberalism, net cafe refugees, poverty, Precarious Japan. Bookmark the permalink.